Great hearing you on the CGS Trivia episode. Did I hear correctly you’re going through a re-watch of the original Star Blazers episodes? My son and I just watched seasons one and two. Going to watch three next. They just redid the first season recently. Pretty cool. 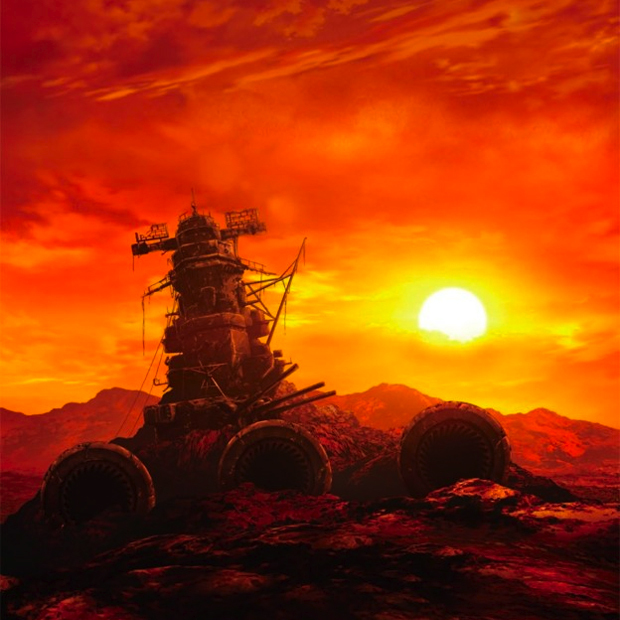 I did mention that I was doing a great Star Blazers re-watch on one of the last podcast episodes, mostly so I can finally watch Season 3: The Bolar Wars – a season that is totally new to me. I got about six episodes into season one of the American version when I received this email at the start of January. Tony clued me into a cool project that is a reworking of the original Japanese series. Space Battleship Yamato 2199 is updated in story, design, in characters and genders, animation, etc. all while honoring the original Japanese series. It’s such an interesting revamp that I went back to episode 1 of the American version to watch it back to back with its corresponding 2199 episode. It’s a bit of a puzzle in that they don’t match up episode to episode. I can watch three American episodes, but that only corresponds to maybe one and a half of the 2199 series. Other sequences are skipped altogether. And yet there are some new wrinkles in 2199 that make the story richer. I suppose I should be watching the original Japanese series against 2199 for a truer comparison. Oh well. Anyway, I’m not the biggest Star Blazers aficionado so I’m sure my terminology may be jumbled – or I’m getting certain “facts” wrong. Heck, I wanted to categorize this post as “Cartoons” but I knew that might offend (so I just went with animation to cover my bases for this post and for future posts that maybe aren’t anime). All good – I’m just doing this for fun, for myself. Funny to see this on the site today. Star Blazers was always a favorite of mine, but living in Maine, I was only able to see it as a kid thanks to the fact that we lived on the Canadian border and got CBC, which ran it in syndication. Loved the series so much that I bought the boxed sets of the VHS tapes back in the day. And I recently, finally, found where I had packed them away (thanks to my wife’s memory) and started copying them over to DVD for my 6 year old. I’m hoping to hook him and do my own re-watch, while seeing it through his eyes as well (if one can actually do that, but I like the poetical, so there it is). Anyway. Also very interested in learning of this new 2199 iteration. Gonna have to check that out now, too.